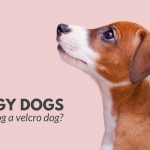 Could the amount of play your dog receives be effecting his behavior? A new study reveals the importance of play for dogs. A new study released by Bristol University has found that play is the key to our dogs well being. The study of 4,000 dog owners showed that dogs who don’t engage in a lot of play suffer from behavioral issues such as anxiety and aggression. Less play time also leads to an increase in whining, jumping up, and not coming when called. Scientists are beginning to agree that play is the key to a dogs happiness. The full study will be released on the Channel 4 documentary called Dogs: Their Secret Lives. The research found that a lack of play can cause up to 22 different behavioral issues. These undesirable behaviors include anxiety, aggression, pulling on the lead, whining, and not coming when called. Humans and dogs are two of the few species of mammals that continue to play well into adulthood. Dogs need to engage in fun activities just as humans in order to keep them both mentally and physically fit. The new study released by Bristol University found a strong correlation between lack of play and increased behavioral issues with our dogs. 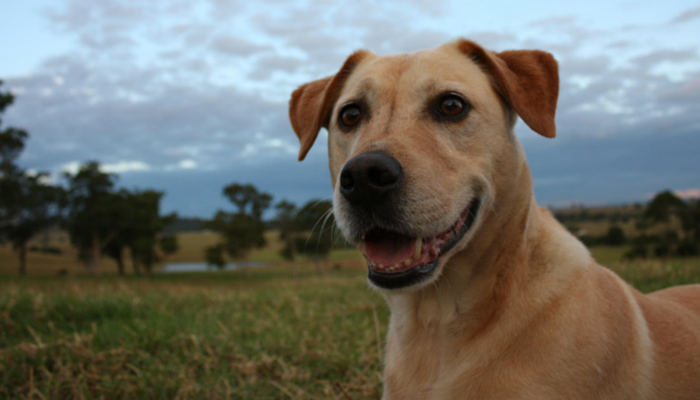 The documentary shows that play can often correct dysfunctional canine behavioral problems. The study found that 20% of owners play with their dog 6 times a day. 50% said they play with their dogs two or three times a day and 10% only engage in play once a day. 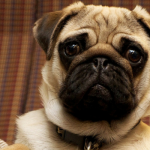 94% of the 4,000 participants said they experience behavioral issues with their dog. 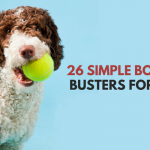 If you’re looking for some simple ideas on how to increase play time with your dog check out 26 ways to relieve dog boredom & 33 ways to keep your dog busy indoors. 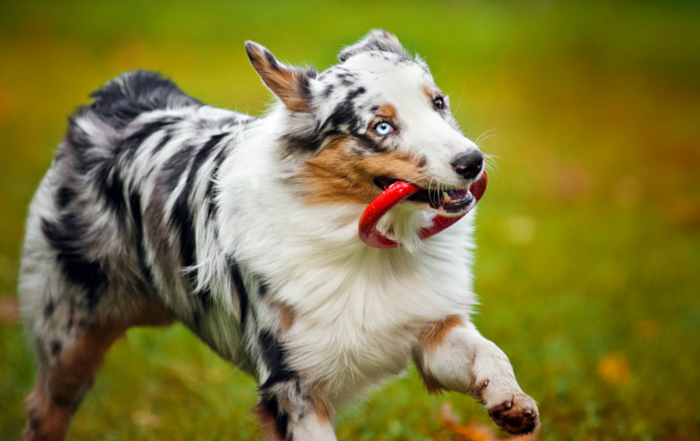 Dogs that don’t engage in a lot of play have been found to suffer from more behavioral issues. Playing is how puppies learn basic manners; if they play too rough they’ll likely get a nip from the other dog or the dog will walk away. Socialization has long been said to be one of the most critical aspects when it comes to raising a well balanced dog. Perhaps the importance of learning better manners plays a role in the ability of your dog to be able to actively engage in play with others. Playing games with your dog is not only a way to keep them physically fit it’s also mentally challenging. Dogs thrive when they’re able to engage in mentally stimulating activities. A simple game of tug is both extremely physically and mentally challenging for our companions. Increasing play time with your dog has been found to decrease behavioral problems including anxiety and aggression. It’s not just correcting behavior issues either; increased play is needed to help combat the growing problem of pet obesity. Current estimates find that 53% of U.S. dogs and 58% of U.S. cats are overweight or obese. Last year a study found that nearly half of Britain’s dog population is overweight. Adding a few simple play sessions a day will help shed extra calories. Keeping your dog slim has been found to lead to a 15% increase in lifespan. Dogs have been known to do various tricks to lengthen play time. Some refuse to bring a ball back during a game of fetch while others simply slow down to make the game last longer. If you’re playing chase with your dog you may notice that he slows down, allowing you to catch up to him before continuing on. When dogs play together the larger dog will often handicap himself to keep from winning so the game can continue longer. What’s Your Dogs Favorite Game? 43% of the dog owners reported that fetch is their dogs favorite game followed by chase, tugging at toys, and wrestling. 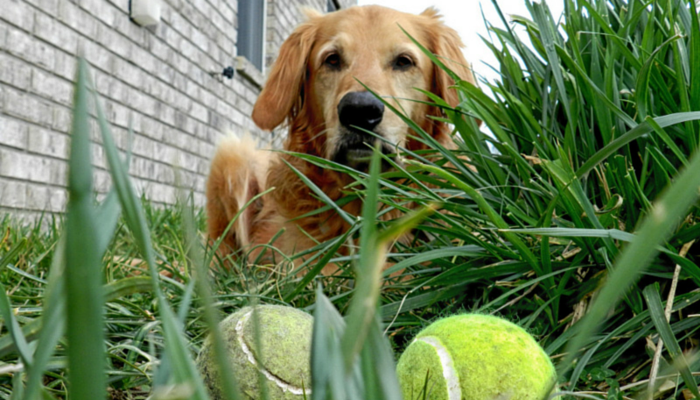 According to the survey tennis balls are a dogs favorite toy followed by soft squeaky toys, rubber balls, and rope toys. My dog Laika’s favorite games are tug, frisbee, and nose work – but she’s never one to turn down a game of fetch either. And for those rainy days? 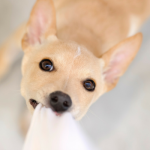 We’ve come up with a list of 33 indoor activities to keep your dog busy. In order to firmly establish that a lack of play is affecting our dogs moods they’re looking for more participants. Over 4,000 dog owners have filled out the survey so far and they’re seeking more to better establish their findings. Emily Blackwell who conducted to research into dog play is looking for more volunteers to take part in the study. She’s hoping to have at least 10,000 people fill out the survey. The survey ( is now closed ) itself should only take you a few minutes to complete. The more of us who complete it the more powerful the results will be. I’m going to make sure I reach the target of 5 or 6 separate play sessions a day with my dog. We do at least 3 or 4 at the moment but I’m fully aware there could always be more. Instead of taking an hour long walk every morning I think I’ll cut it down to 45 minutes and spend and extra 15 playing. Knowing Laika’s enthusiasm for games I know she won’t mind. Because we’re in the middle of winter here we’ve had to improvise. We’ve come up with a big list of indoor activities to keep your dog busy including a lot of fun, engaging games. And don’t worry – they won’t destroy the house. Play for dogs and humans is healthy. It provides a great workout, relieves stress, and is a nice mental break. It’s a great way for our dogs to express some of their natural behavior. It’s a simple way to add to our amazing bond we have with our best friends, and best of all it’s just plain fun. New study from Bristol University has found a direct correlation between the amount of play a dog engages in and the chances of developing behavioral issues. Great article! I imagine dogs learn so much through playing with us and the idea of them prolonging play on purpose is very interesting. I took the survey and am anxious to learn more from them as more dog owners contribute. I love that they do this; they’re such great tricksters. But when it comes to play how can I blame them, it really is just good old fashioned fun. This is a great article – I wish my dogs would play more. They are both seniors and I think that plus their background makes them a little serious. I”ll have to work on this with them. great information, play or exercise helps my gambler from being destructive. It almost sounds like they are using play as a substitute for work. Our dogs play sometimes, but mostly they work for us. They are too tired to cause trouble after that…lol. I’m sure working dogs get way more mental & physical stimulation than most dogs, that’s for sure lol. I’m glad it’s so easy to play with my dog considering I’m sure she’d love a job even more but play will have to do. Oh wow! This was a great read! My huskies love to play! And they get plenty of playtime too! I play with my dog a couple of times per day, usually for just a minute or two. It’s a way to engage with him and build on our relationship. I can just look at him a certain way and he knows to run and grab a toy. I love having that connection with him. And playing with him keeps my life a lot more fun and laid back. Plus, it’s definitely a stress reliever for both of us. I love the stress relief, it’s just so fun playing with my dog. It gives us a moment to forget everything and just have some good old fun. Great Article! I like how they are using reports from dog owners to help with the findings of this study. Ava loves fetch and tug and we try to play as much as we can everyday. My dog is 6 years old and will not play. She is a terrier mix and loves her walks, but she will not get a ball or play tug of war or anything. What can I do to get her to play? Is she interested in food or treats? You could try getting a food dispensing toy or stuffing some treats into a Kong to see if you can encourage her to roll it around to get the food out. she will get peanut butter out of her kong, but thats about it. Do dogs get depressed or is it that she is not interested in anything except her walks?